Editor’s Choice members will now have three new budget-friendly dog foods from which to choose. Thanks to tips from our members, our research team has recently uncovered three money-saving options — bringing the total number on our Budget-Friendly Dog Foods list to 41. That team has also added a new brand to our Editor’s Choice select list of 21 of the very best dog foods available in the U.S. and Canada. 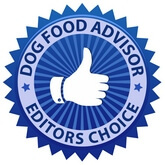 To see which dog foods have been added as well as additional product or recipe changes, members are invited to check our new Editor’s Choice Product and Recipe Change Monitor for details. Because of their better quality, these budget-friendly dog foods are not as cheap as typical grocery store brands. However, depending upon where you shop, many can still be found selling for as much as 40% below the cost of other premium products. While some budget-friendly products may not have qualified for our highest Editor’s Choice designation, they are still formulas we feel comfortable recommending to members — especially to those looking for a quality dog food at a reasonable price. Click here to learn how to become a member of Editor’s Choice.